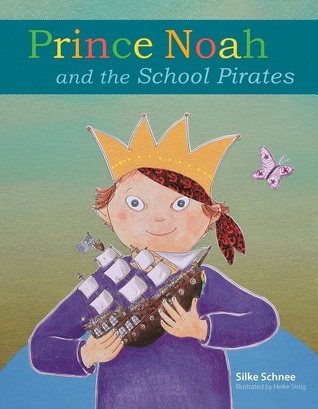 Prince Noah and the School Pirates by Silke Schnee, illustrated by Heike Sistig, is a fun adventure about inclusion, working together, and having fun. In Prince Noah’s kingdom, the kids are sent off in separate ships to learn skills, such as girls learning to weave and boys learning to fence. Kids with disabilities are sent off in their own boats as well. While the book has a lot of text for young kids, the adventure makes it a book to read with your child right before bed. You can break up the book into segments, making it easier for kids to follow along and enjoy the ride. When the kids are at sea, pirates swoop in and capture the children. What will happen to them as they are put into the pirate tower? Who will save them? Prince Noah and the School Pirates by Silke Schnee, illustrated by Heike Sistig, is delightfully illustrated with so many things to look at; it’s almost like a Where’s Waldo? book. My daughter enjoyed this story and told me we should read it again, and we probably will … many times. Silke snow is a journalist and works as a TV program maker at a public broadcaster in Cologne . She is married and has three sons . Her youngest son Noah was born in July 2008 with Trisomy 21 ( Down syndrome ) .